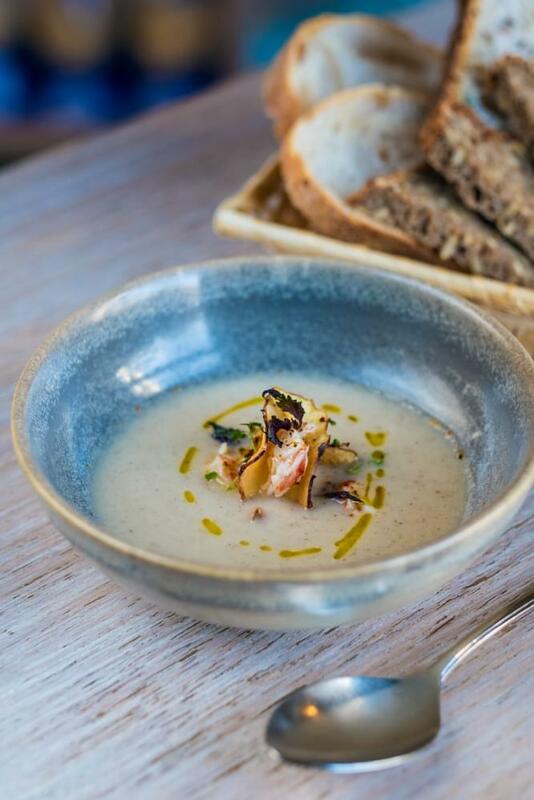 Creamy topinambour soup is made of gambero rosso shrimps ceviche and lobster bisque - this is kind of demi-​glas made from lobster boxes with root vegetables, tomatoes puree, some wine and fennel. All of this we mixed with olive oil and lemon into the emulsion, which forms the base for ceviche. 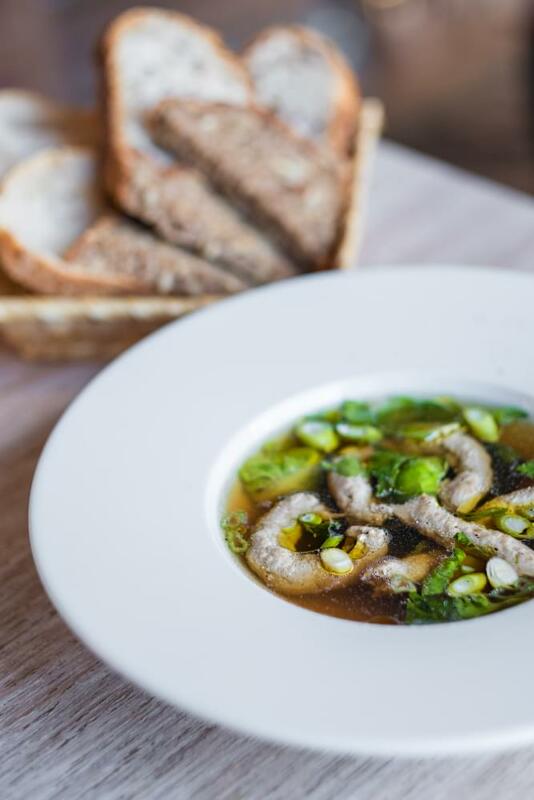 Beef consommé with kale, lovage and passatelli from goose meat. In this course Jakub combined our liver dumplings with an Italian linen into the soup passatelli. 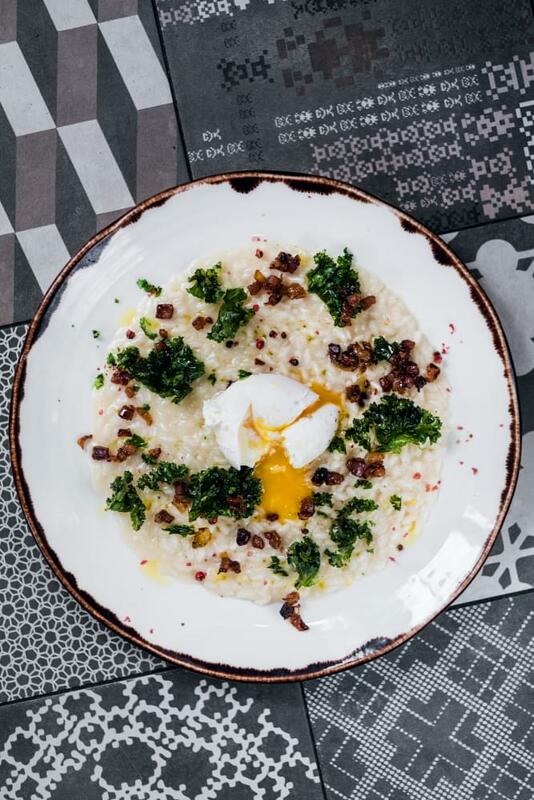 Parmesan risotto with lardo, curly kale and poached egg. Simple dish, but powerful. 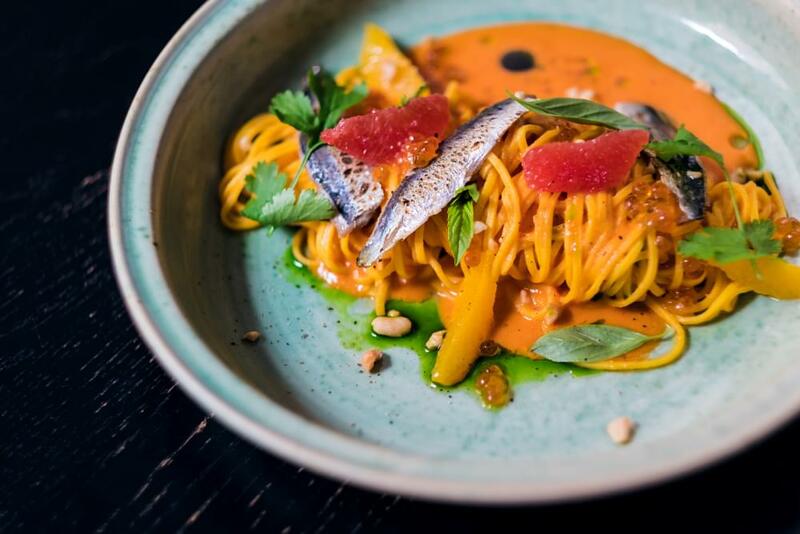 Pasta inspired by the traditional recipe al-​limone. 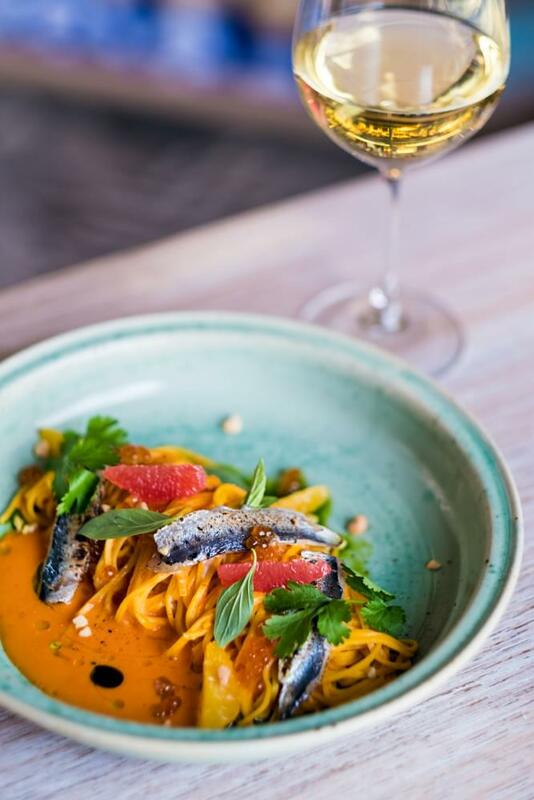 Tagliolini with baked tomatoes, citrus sauce with segments of citruses and sardines prepared by ourselves in Gastronomica. And up there come fresh herbs, Thai basil and coriander. Pasta, cauliflower and black truffles, the three ingredients that made it delicious. Agnnoloti filled with egg yolk emulsion made in sous-​vide with cauliflower chips and black truffle. 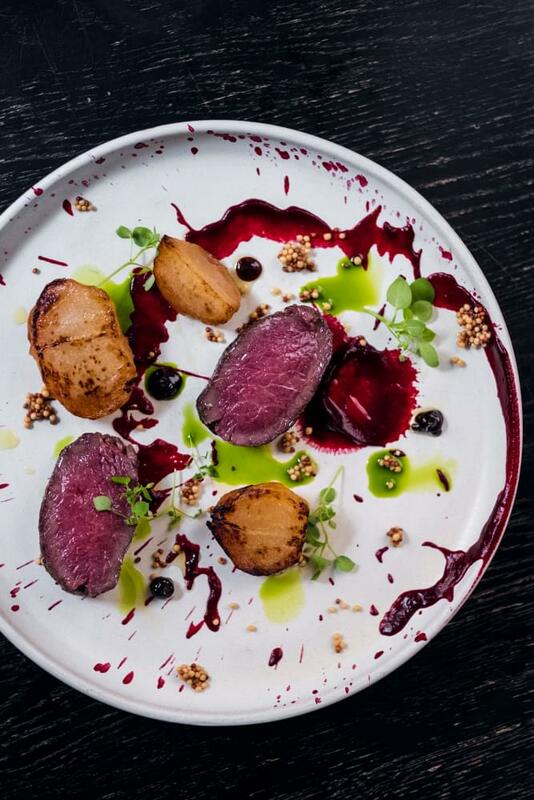 Saddle of venison with baked beetroot, balsamic gel and parsley oil. We marinate saddle in a homemade mixture of spices and ginger sugar, then caramelize it in butter with herbs and garlic. 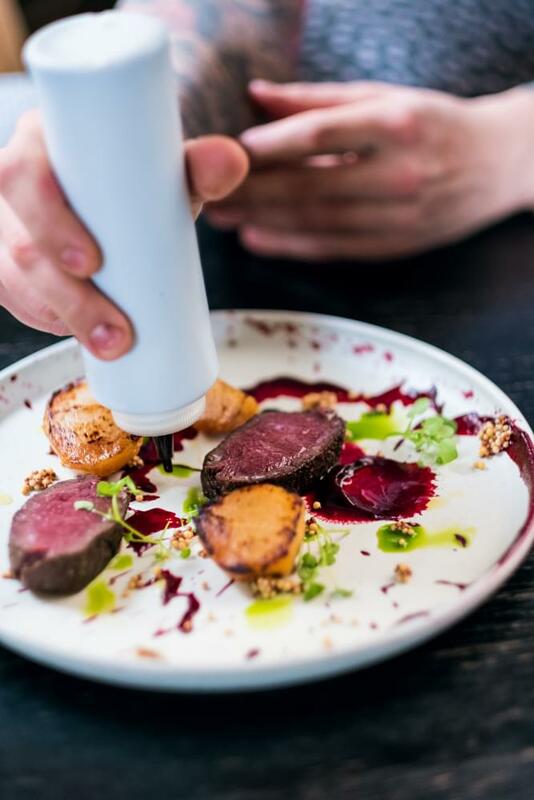 Saddle is served with roasted beet, balsamic gel and parsley oil. Baked pork belly with pumpkin purée gingerbread and masala sauce. In pumpkin purée is sea buckthorn which gives a whole new dimension to the course. And finally, a fish, red mullet with Brussels sprout and winter pomelo salad and octopus emulsion. 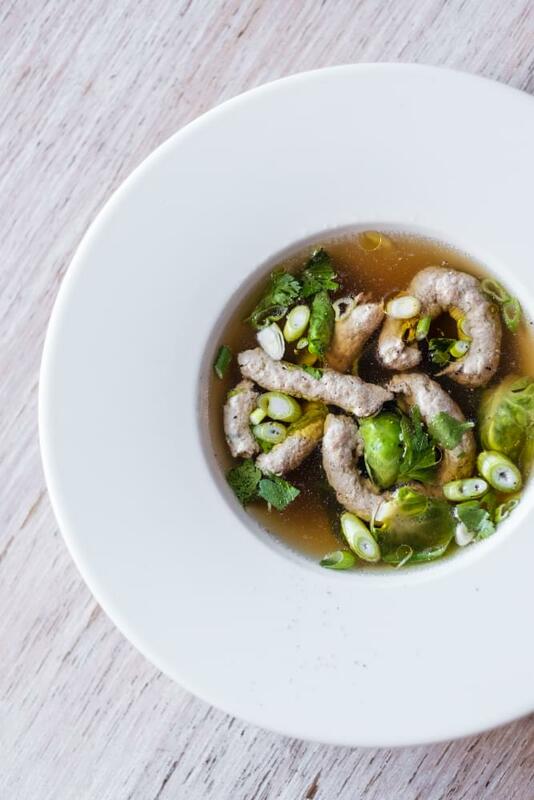 In this process, it is interesting to use the broth left from the octopus on the menu for further use. We reduce the broth perfectly and together with the olive oil we make a great emulsion for it. 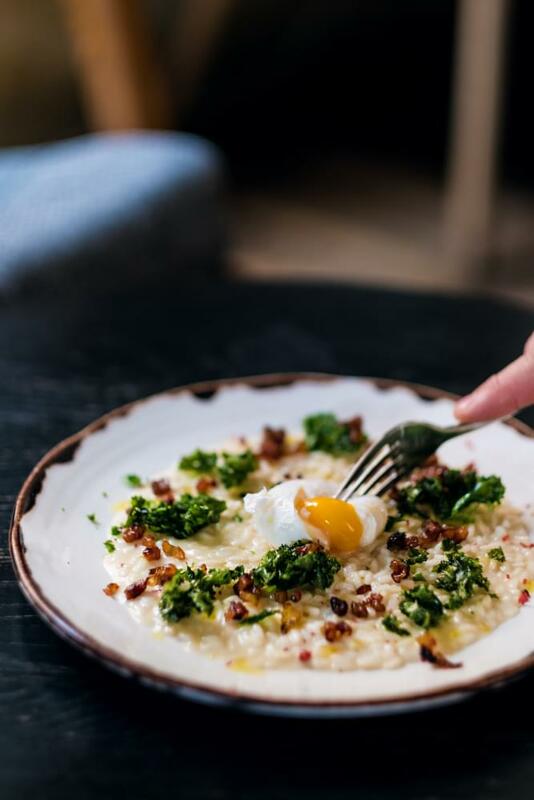 At Gastronomica we try to use the ingredients to the maximum with respect to them, so we don’t waste any of what is left here, we will use it elsewhere. 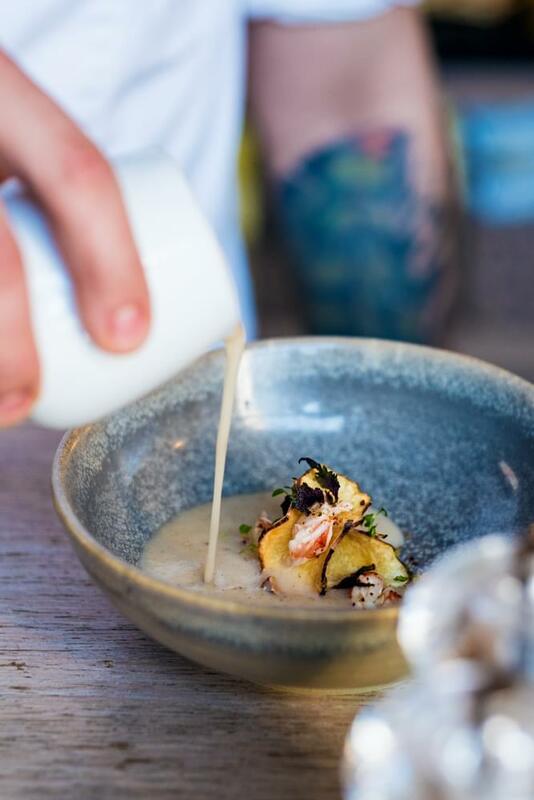 Every single course has its own idea, this winter menu will simply be fun on the plate.